attentive service, in total privacy and relax. Zash Country Boutique Hotel is located close to Riposto, a seaside destination equidistant from the cities of Catania and Taormina. The Hotel enjoy a strategic position that allows you to discover the different faces of eastern Sicily; the cities of Noto, Siracusa, Ragusa and Modica are not far from the hotel. Zash is immersed in the scents and colors of 13 hectares of citrus groves, which forms a beautiful natural setting between the Vulcan Etna and the sea, where it is also possible to ski looking at the sea and explore the wine routes of Etna. Belonged to the Maugeri family since the 1930s, Zash is a boutique hotel characterized by a successful mix of ancient and modern details. Born from the restoration of an old winery, the hotel is characterized by flagstones of lava stone and vaults, spaces that have retained the memory of its history. The guest is now part of fascinating places where once wine was processed. It seems that time has stood still by Zash: the flavors of freshly picked oranges, the scents of the nature and the flavors of wines from the cellar bring us back to the mineral essences so typical of Etna. For the second consecutive year 2013 and 2014 Zash received the award from the TOURING CLUB ITALIANO for “Best Italian Rooms”. The Ischia International Architecture Award, that celebrates quality in hospitality and is assigned for excellence in architecture, has awarded the architect Antonio Iraci for Zash Country Boutique Hotel. Zash is, today, a Country Boutique Hotel, where historical artifacts meet contemporary style in an elegant project which reveals and respects the physicality of nature and the vestiges of the past. 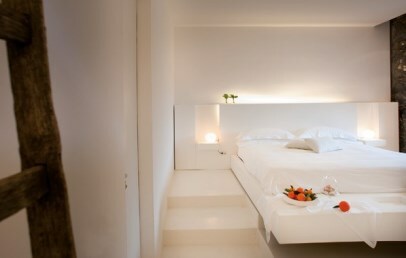 The 17 Zash rooms are divided into different parts of the hotel. 4 rooms are located in the main building "in-house", which corresponds to the ancient manor house, with large windows and high vaulted ceilings. 3 rooms are "in the cellar" facing the garden, once used to store wine, characterized by white volumes resin, creating a strong contrast with the black lava rock. 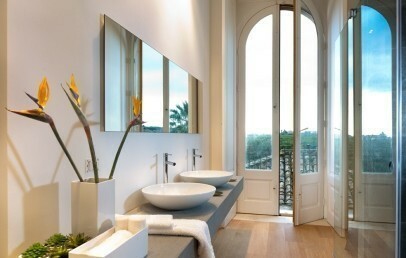 3 rooms are located in the beautiful citrus garden "in the green". The large windows create a continuum with the garden, giving the impression that the trees themselves are the walls of the rooms. Next to the manor house are the three rooms "in the garden", with patio and private garden, with vaulted roofs and modern design. Immersed in the citrus grove are the 4 new "Green Cubes" with private outdoor tub and large panoramic windows ( opening scheduled for July 2019). 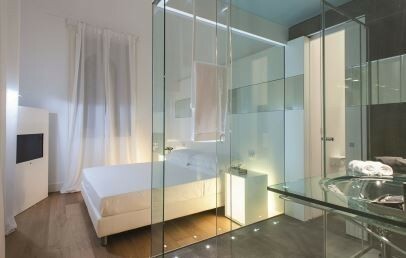 Every room has a satellite TV "32, a minibar, a safe, air conditioning and internet Wi-Fi connection free of charge. 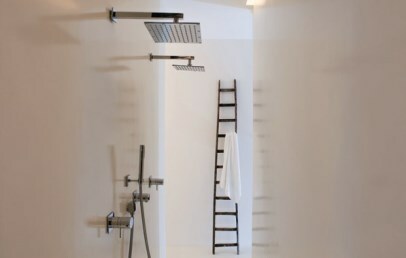 Standard – 26 sqm are located in cellar". Superior – 32-38 sqm, 3rd additional bed (only possible in some rooms), located either "in-house" or "cellar", a room for people with a disability available with 32 sqm, garden view. 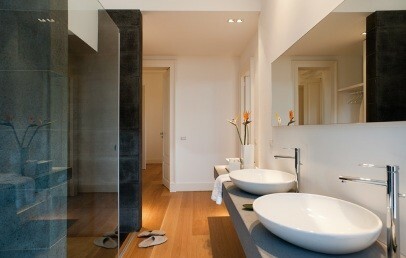 Superior Plus – 30-36 sqm, 3rd additional bed possible only in some rooms, garden view and private garden area. One with lava stone bathtub in the room. Grand View Room : 36-40 sqm - Located in the old manor house on the first floor, they have the best views of the whole hotel: one sea view and the other Etna view. Suite - 50-55 sqm - Sea view Suite or, as an alternative, a beautiful Suite on the ground floor with private garden could be assigned - this suite does not have a sea view. Room assignments are at the discretion of the hotelier. Grand Suite – is available only on request, 100 sqm. It is composed by 2 bedrooms with en suite bathroom. Stunning terrace on the seaside with overview on the Gulf of Taormina. Furthermore it also feature a lounge with a fireplace. The Grand Suite is located in on the first floor of the old manor house. A small oasis to relaxation and for the well-being, consisting of a beautiful tub made of lava stone with refreshing cold air spray, a sauna, a Turkish bath, an emotional shower and a treatment room, dedicated to massages. Various massages and beauty treatments are offere, whether relaxing, stimulating or detoxifying, this accompanied by the product range of Maria Galland Paris, a famous, international cosmetics brand. For guests of Charming a 90-minutes SPA path (wetland) is offered. The garden offers several nice spots to relax, to walk or jogging. Those who likes to discover the surrounding countryside may do it good by foot or with the bicycle, that are at guests disposal. The restaurant of the Zash Country Boutique Hotel is an area once used for the wine fermentation. The colors of the walls and, for the most careful noses, the memory of smells, revive ancient gestures. The menu is based on the gourmet cuisine philosophy and varies according to seasons, this also happens thanks to the own vegetable garden. For an aperitif or a cocktail, a wide selection of the best spirits and wines, there is instead the Lounge Bar. The staff of the Zash is at your disposal for any requests and additional services: body treatments and massages, baby sitting and organization of excursions. Furthermore there are rooms available for small conferences, a terrace and a garden area ideal for meetings, events and/or private ceremonies; in addition there is a charging station for electric cars and a landing area for helicopters. Guests have access to the beautiful outdoor swimming pool with solarium and pool bar. The rooms are located in the “wine cellar” characterized by white resin walls and floors in contrasts with the pre-existing volcanic stonework. 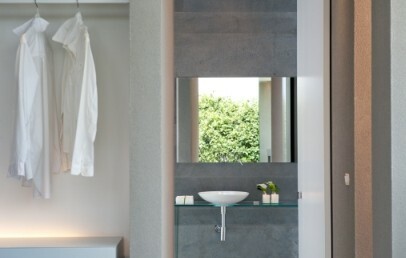 Characterized by a design style, all Standard rooms have an en-suite bathroom with volcanic stonework shower. Room assignments are at the discretion of the hotelier. One of the Superior room is located in manor house, characterized by high vaulted ceilings and full-length chestnut windows. 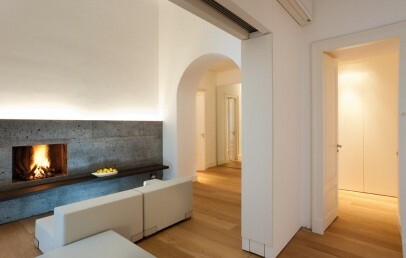 The 2nd room is instead placed in the “wine cellar” (suitable for disabled guests) characterized by white resin walls and floors in contrasts with the pre-existing volcanic stone. 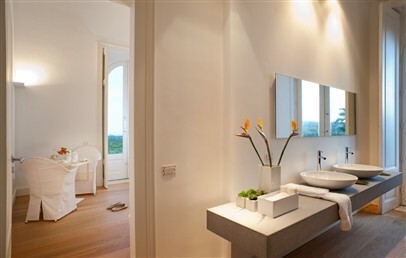 Characterized by a design style, all Superior rooms have an en-suite bathroom with a shower for two made on volcanic stone shower and enjoy a view on the Mount Etna or on the garden. All the rooms are located in the garden and the big glass doors make the citrus trees the real walls of this amazing room. The Grand Suite is exclusively bookable on request, offers in total 100 square meters surface and is located in the old manor house. 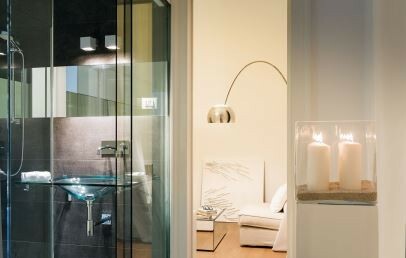 The Grand Suite consists of two connecting double rooms (Standard and Superior), a comfortable living area with a fireplace, 2 bathrooms with shower and a private terrace with beautiful view on the Mount Etna and on the bay of Taormina. On request it is possible to add a 5th or 6th bed. Sea view Suite or, as an alternative, a beautiful Suite on the ground floor with private garden - this suite does not have a sea view. Spacious and bright rooms located in the old manor house on the first floor, they have the best views of the whole hotel: one sea view (with panoramic terrace) and the other Etna view with two balconies and lounge area. 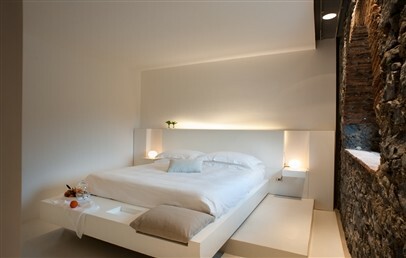 Newly designed rooms immersed in the citrus grove, with private outdoor pool and large panoramic windows. Long Stay - 15% reduction for minimun stays of 4 nights (stay periods: 01/02-04/04 and 01/12-27/12)! 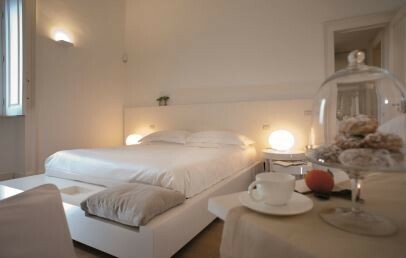 Long Stay - 20% reduction for minimun stays of 7 nights (stay periods: 01/02-04/04 and 01/12-27/12)! Free access to the SPA!